#529 at North Freedom, Dec. 12, 2003. Paul Swanson photo. This steel cupola caboose was built by the Santa Fe in 1948. It was transferred to Santa Fe subsidiary TP&W in 1969 and renumbered to 529. 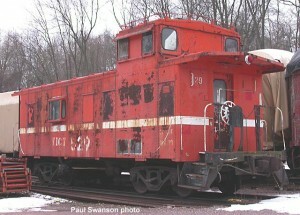 In 1983, it was sold to Joe McMillan and later leased to the Wisconsin & Calumet Railroad (WICT). 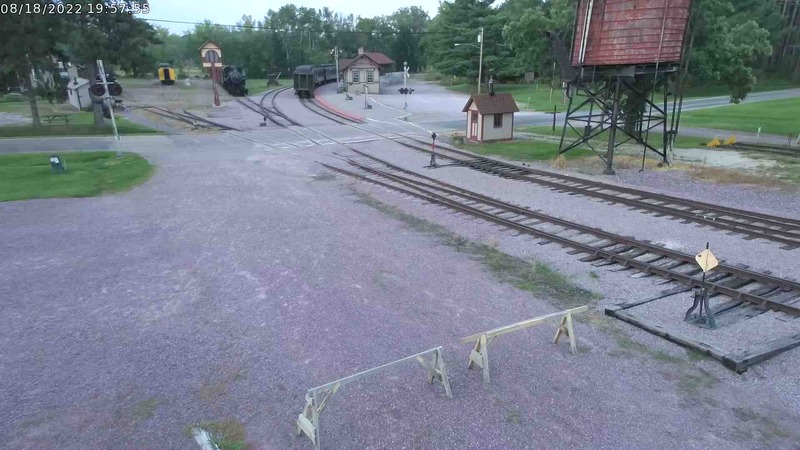 It was moved to Janesville, Wisconsin and used by the WICT in freight service for a number of years until WICT was sold to Wisconsin & Southern Railroad Co. in August 1992. 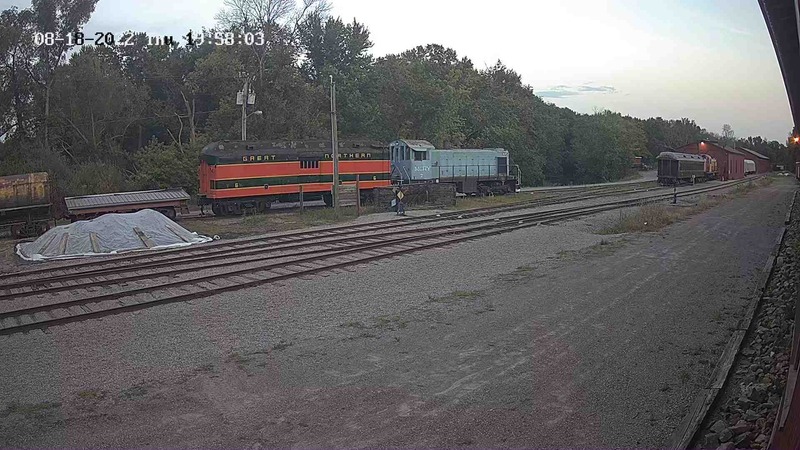 #529 remained in storage until it was sold to a museum member and moved to North Freedom in November 2000. It is presently used for bunk facilities.